As the world mourns the death of former President George H.W. 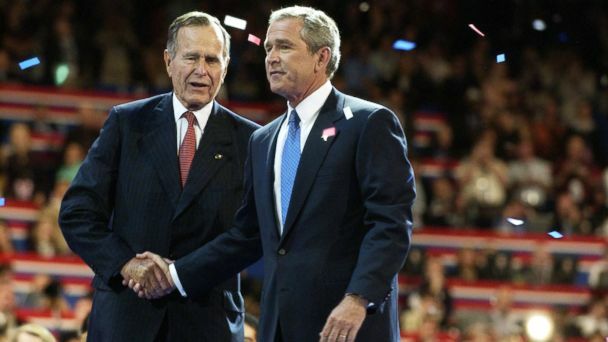 Bush, ABC News contributor Cokie Roberts remembered his time as president and what distinguished him from the modern political climate on this week's Powerhouse Politics podcast. Roberts joined ABC News' Chief White House Correspondent Jonathan Karl and Political Director Rick Klein to discuss Bush's presidency. "I think that there's going to be a lot more recognition of how he handled the end of the Cold War which is really the end of a century's long war," she said. "The fact that he did not need to dance on that wall and did not need to take credit for what had happened ... made all the difference in the world." Roberts also said that Bush's family will continue to carry his devotion to service. "Dynasty is always a tough word," she said of the Bush family legacy, "but the family basically will have a position in the country of being a family that cares about public service." She said Bush believed "service was all important and conveyed that to his children." Roberts described the funeral as a "thank you note to George Bush, the writer of thank you notes." Every Wednesday, ABC Radio and iTunes bring you the Powerhouse Politics Podcast which includes headliner interviews and in-depth looks at the people and events shaping U.S. politics. Hosted by ABC News' Chief White House Correspondent Jonathan Karl and ABC News Political Director Rick Klein.